– Stephen King, Danse Macabre. 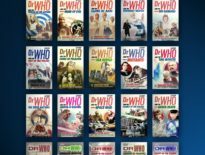 When we talk of suspension of disbelief it’s usually in reference to a reality-stretching plot point that threats to throw entire continuity and the thin veneer of verisimilitude in the bin but Sci-Fi and Doctor Who is largely based on suspension of disbelief. We buy into a concept and take each character’s word as gospel because characters in such shows don’t speak in half measures, they speak in continuity errors. We rebuild the world anew with each proclamation – if we begin to doubt them, if we start questioning these characters, then we threaten to dismiss the entire show. In established Doctor Who history, we are told that monsters are real and all we need as proof is a visceral reaction by our heroes to buy into that concept: take the scene in Listen where a petrified Rupert dismisses Clara’s questions about where the formless shape hiding under his bedcovers has come from. We implicitly believe him because he’s terrified – and we do that because the show has spent the last 50 odd years telling us that monsters are real and this reaction is normal. The logical part of our brains should side with Clara; there should be a rational explanation but this is where Listen’s true power lies; the Doctor isn’t telling us that ‘fear is a superpower’ because he’s comforting Rupert, he’s telling it him because he thinks that’s what he needs to hear. The underlying message is clear: yes, you should be afraid but that fear is a natural response to an irrational situation. If we imagine emotion and reason not as polar opposites but more as two points on a spectrum of potential responses – some situations may call upon one response based on the severity of the threat, others may call upon more than one – you can see how, when it comes to monsters, we are not really interested in the proof of their existence. One thing doesn’t justify the other, fear is not dependant on monsters. Fear has value in and of itself. But Doctor Who isn’t that cold any more. Fear isn’t something to place inside a specimen jar and study. It’s not purely in the realm of the scientific – there’s a school of thought that traces the lure of monsters, the need to create fabulously cruel creatures to torment ourselves, to empirical causes, which tend to ignore the depths and universality of the human condition in favour of external stimulus; say, dismissing old sea captains fear of the Kraken as nothing more than a response to an ancient encounter with whales and giant squid (there’s an excellent, if rather spurious book on the subject The Science of Monsters: Medusa’s Gaze and Vampire’s Bite by Matt Kaplan that goes into great lengths along similar lines) but in this instance, the Twelfth Doctor wants to be cold and scientific. He wants to find that very same ‘ancient encounter’ in order to justify why he feels so driven by his fear and haunted by his dreams. The episode never really calls him out on his folly because, for the most part, Listen is a continuation of several themes present in other Steven Moffat episodes (think Reinette calling him ‘the lonely Doctor’ in The Girl in the Fireplace – of course the Doctor, haunted by the hand that grabbed him from under his bed, knows what it’s like to be left out in the cold). It’s only taken until now, when, given this new sense of distance between himself and humanity this particular regeneration exhibits, for him to meditate, quite literally, on the fear that drives him. Take the Stephen King quote above. If we regard our horror as more a reflection on the living rather than the dead, then ghost stories are effectively a celebration of life: even when the events that unfold contain unimaginable cruelties, they still shed light on the human condition because of the extremes they push us to. And as the living must face the dead, we the reader or in this case the viewer, must face our fears – the fact that Listen chooses to focus on emotion over horror; to side with the Doctor even when he’s wrong (do we ever really know the Doctor more when he’s right? 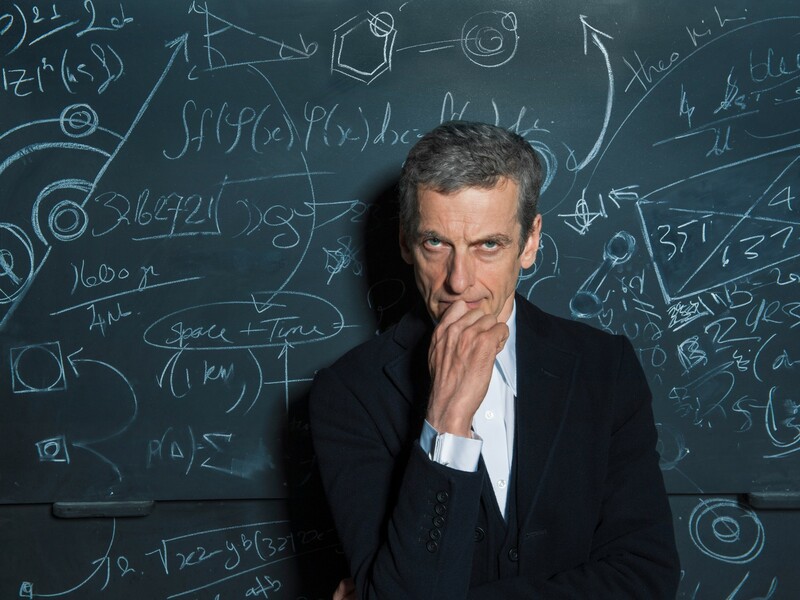 Do we cut him some slack here – he’s pretty reprehensible in this and Series 8 in general – because he’s done so much good in the past) makes this episode clever in its compassion – for once Steven Moffat’s love of deconstructing the mythos is focused on rebuilding connections between characters and not creating more unwieldy connections between the past and the present. 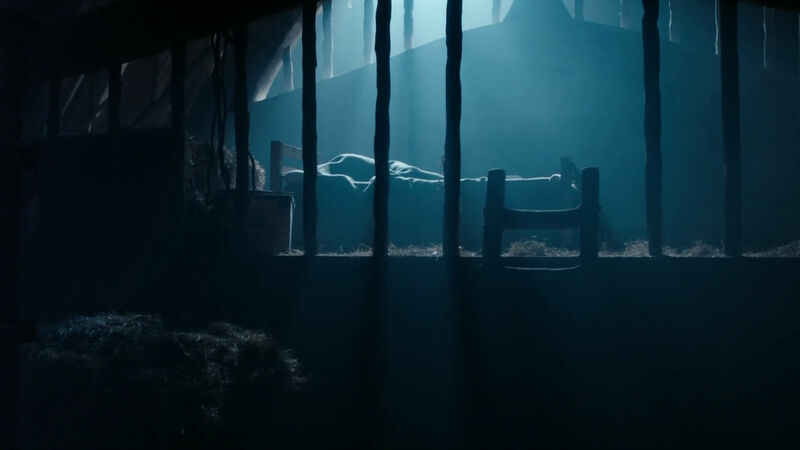 The scene in the barn featuring the silhouette of the young Doctor is easy to dismiss as another attempt to elevate the importance of Clara within the canon (and therefore Moffat himself) but the episode gets away with it because it acknowledges that by showing anymore, the episode could undo the shows enduring appeal – the mystery is more important than one single defining moment and, in this instance, Moffat steers clear of doing any lasting damage. 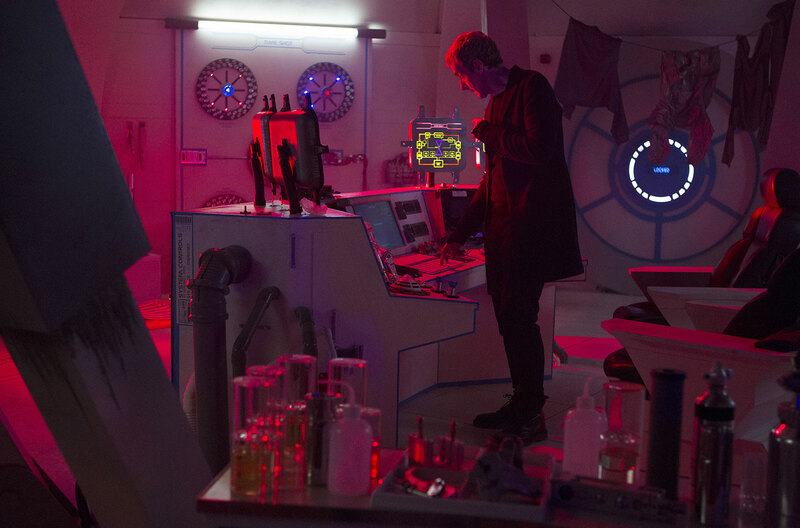 The one benefit of having down time between their adventures is that the Doctor can indulge these whims; while that makes him a frightening proposition for Clara it also underlines why she’s important too – those scenes of her bonding with Danny Pink work to touch base with a level of normalcy that slowly begins to creep back into the episode as his obsession threatens both those parallel lives: it’s necessary because it shows that despite her brushes with fear, she’s still able to put it to one side. And let’s not forget how good she is at facing down her own fears as the genuinely unnerving ‘waiting to exhale’ scenes in Deep Breath testify. There’s a genuine level of ruthlessness and rage that makes a mockery of the self-titled ‘mad man in a blue box’, that underneath all the charm and eccentricity of his predecessor lies a compulsive need to know everything. So while Clara can comfort him and tell him that it’s okay to be afraid and he can embrace the concept of fear as a potential lifesaving energy, he can’t let go of the notion that it’s irrational, that there is no explanation. 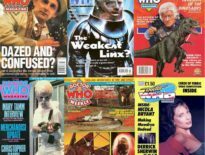 This is a story that could only be told with Capaldi’s Doctor – he’s perhaps the most distant from his companion, the very conduit other Doctors have used to channel their obsessions through, meaning he’s also perhaps the most honest Doctor too.